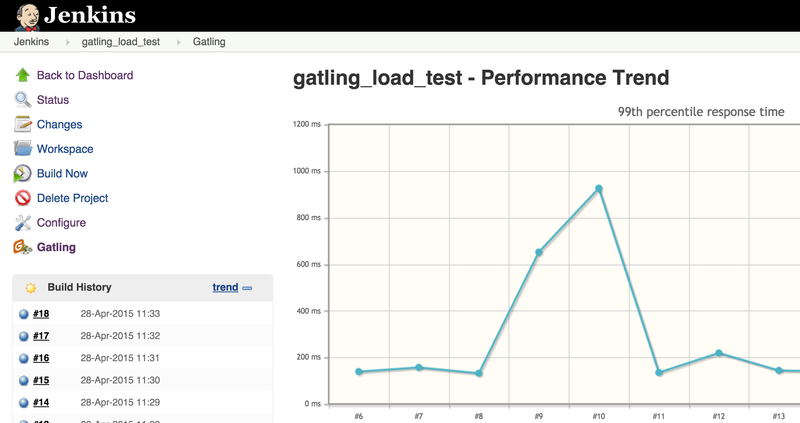 What does "load testing" mean? 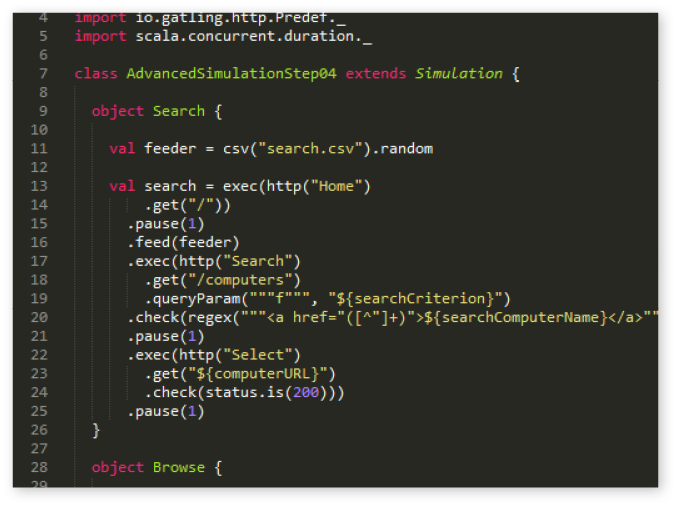 Gatling's code-like scripting enables you to easily maintain your testing scenarios and easily automate them in your continuous delivery pipeline. We developed our own Domain Specific Language (DSL), in order to make your scenarios easy-to-read for everyone. Gatling is a powerful tool: with only a few machines, you can simulate hundreds of thousands of requests per second on your web application and get high-precision metrics. 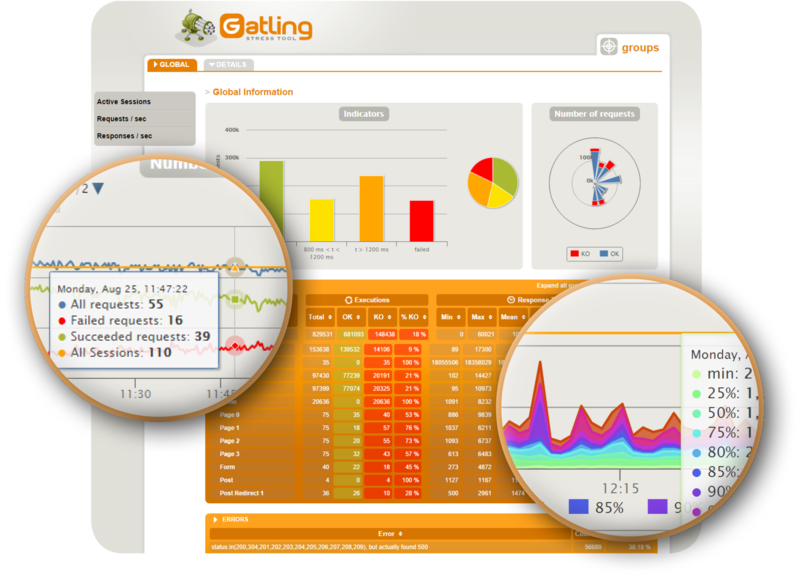 At the end of your test, Gatling automatically generates an exhaustive, dynamic and colorful report. Means and averaged data are not enough: with Gatling, you get proper percentiles of your response times' distributions. Don't leave your slowest users behind! Do you want to go further? Check out Gatling FrontLine, our enterprise companion for advanced metrics and data. Automate your load testing campains thanks to Jenkins and deliver faster! You can monitor directly on Jenkins performance regressions after each commit. You can also parametrize email notifications, to make sure you are not missing anything throughout all your development cycle. You can access all your Gatling reports from Jenkins to investigate every single performance issue. Continuous performance testing complements your massive perfomance testing campaigns. It is an essential part of your continuous delivery pipeline. The aim of running small load tests at very early stages in your development cycle reduces drastically your debugging phase at the end of your development cycle. Time, quality, money: continuous performance testing is your best ally to make better and faster improvements for your web application. Gatling FrontLine includes an enhanced Jenkins plugin, to go further in your automation process. We also support TeamCity (Jetbrains) and Bamboo (Atlassian).